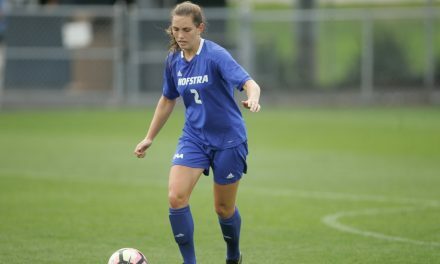 STORRS, Conn. – The Hofstra University men outshot the University of Connecticut, but the Huskies came away with a 1-0 win at Joseph J. Morrone Stadium Tuesday night. 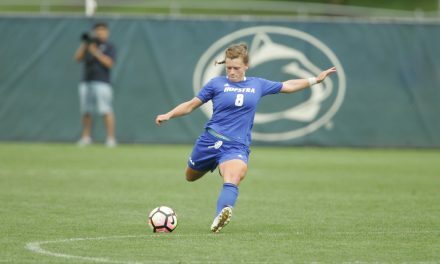 The Pride (1-3-2) mustered 10 shots to UConn’s nine, but couldn’t find the back of the net. The Huskies (2-2-1) tallied the game-winner in the 30th minute with Adbou Mbacke Thiam heading in a service from Munir Saleh. 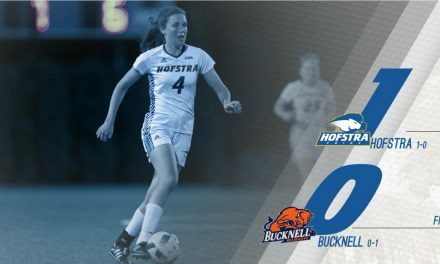 Hofstra sustained the offensive pressure, and had the run of possession for much of the second half. With just over 15 minutes remaining, freshman Marc Rodriguez danced through the midfield and found Matthew Vowinkel about 20 yards out as Vowinkel sent in a rocket that sailed high. Moments later, the Pride was awarded a free kick to the left of the 18-yard box as goalkeeper Scott Levene came diving out to punch away Fraser’s service. Junior goalkeeper Alex Ashton made two challenging saves in the latter part of the second half to prevent an insurance goal from the Huskies. Freshman Jack Nuttall, the son of Hofstra head coach Richard Nuttall, made his collegiate debut, playing 29 minutes. Hofstra will open Colonial Athletic Association against Elon College at Hofstra Soccer Stadium Saturday at 7 p.m.